Wow, it’s already 2017! 2016 had some unexpected twists and turns; some great and some far from awesome. But, we’re in a reflective mood today so we’re looking back at the great times we had in the past year. For one, we’re excited to announce that we have once again received the Couples’ Choice Award from WeddingWire. This award is given to wedding professionals who receive high ratings from their clients. We have our wonderful friends and couples to thank for again giving us the honor of being one of the top wedding videographers in Michigan (okay, maybe that’s self-appointed title). Also in 2016, we had the great experience of having our intern Jenna join the team. She did a great job with us and learned some stuff too believe it or not. We didn’t realize how helpful it would be to have a third person with us on wedding days to take care of seemingly simple but necessary tasks like setup and tear down, lens changes, food and coffee retrieval, etc. Jenna also shot a ton of our footage and also handled assembly editing. We’re so thankful that we had the opportunity to work with her. 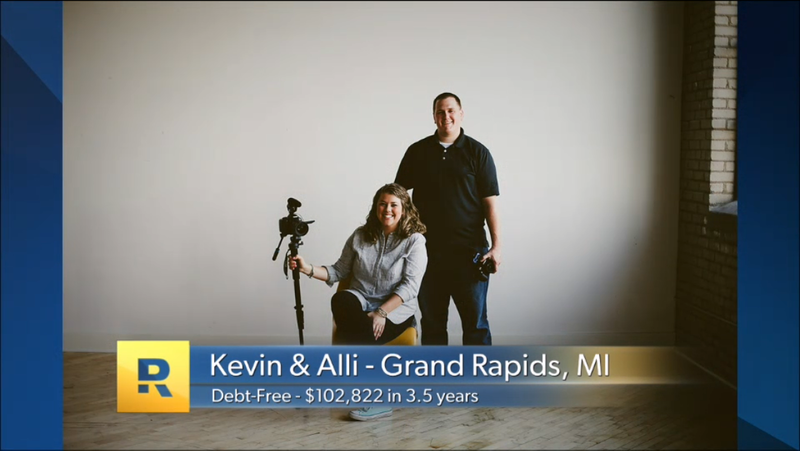 We excitedly announced back in October that we finally reached our goal of becoming debt free. You may have seen some of our social posts about this but in case you haven’t, we started up Pauley Productions to aid us in reaching our goal of paying back student loans. It feels kind of weird not owing money to anybody, especially after giving every bonus, wedding check, and extra income we could muster to the good ole government for 3.5 years. We’ve been blessed by this small business and the boost it gave us in paying down debt. What’s Next for Pauley Productions? In 2017, we’re looking forward to some much needed rest and relaxation and a shift in our priorities. We just got our dog, Elva, who has already caused us to juggle around our schedule a bit and we’re also looking forward to purchasing our first home. At some point, we’d like to start a little family too (no promises that that will happen in 2017, mom). Over the past couple of seasons, we’ve been slowly scaling back from weddings and and in 2017 we’re being really intentional about focusing on other things we’re passionate about. We’ve committed to a couple of weddings and we intend to keep it at that. Thankfully, we know some really great wedding videographers in Grand Rapids and we’ll be sure to get you in touch with them. That’s the plan for now, we’ll keep you all posted as the year progresses.